Last Saturday night we went to the World of Beers in German Village. World of Beers has a lot of different cocktail style beers where they mix different types of beers together to get a different type of flavor. An example of this is a Black and Tan which is a blend of pale ale and a dark beer such as a stout or porter. I am slowly getting into and trying different beers, and am starting with more fruity type beers. One beer on their menu that caught my eye was The Fruit Cocktail. 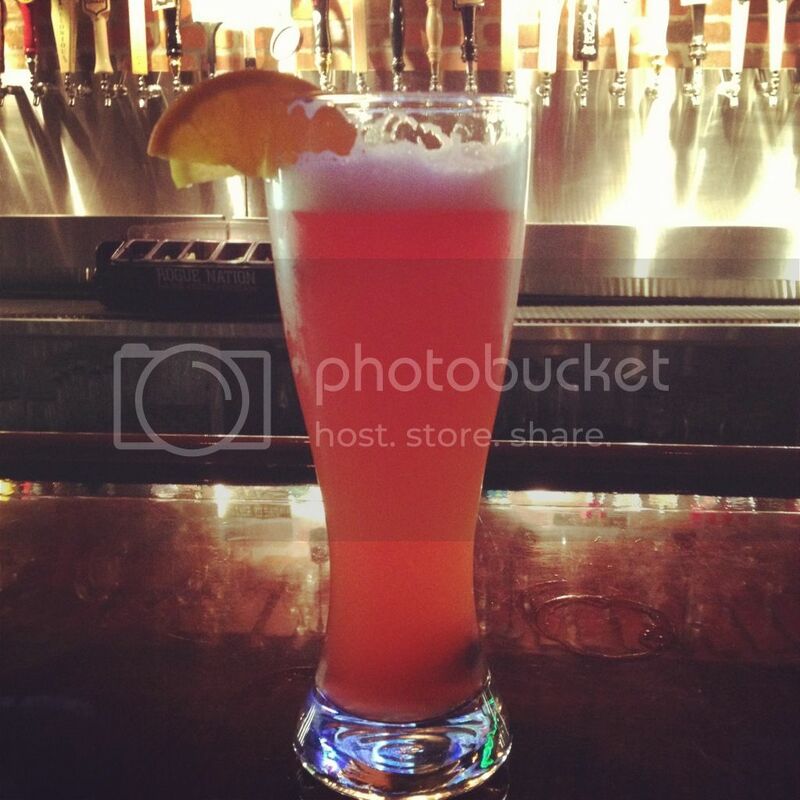 It is a Hefe-Weizen topped with Raspberry Lambic and Blueberry Wheat Ale. They also included an orange flavored beer (not Blue Moon, but similar), although sadly we could not tell the brand/type. The Fruit Cocktail beer was then garnished with a few blueberries and a large orange wedge. This beer was very light, and slightly sweet (although a few guys in our party thought it was too sweet). It didn't have as much of a fruit flavor as I was expecting and it wasn't as sweet as a Lambic typically is, but it did have a little bit of a sweet, fruity flavor. This is probably because it was about 3/4 Hefe-Weizen and only a little of the sweeter/fruitier beers. It did have a good taste and to a person who isn't a huge fan of beer, it was very enjoyable. I would highly recommend this drink to someone looking for something very light and somewhat sweet. As I try more beers, I'll be sure to share my reviews/favorites! What types of beers do you like?